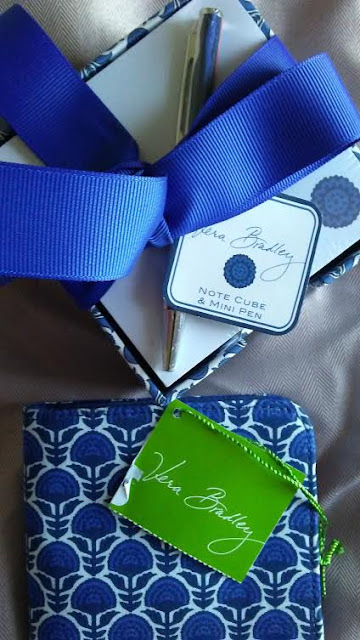 I have started my Vera Bradley collection by buying after Christmas this beautiful blue stationary set at my local Platos's Closet! As blogger on a budget, I will love to get either a purse or handbag in the future from either old or newer patterns from Vera Bradley!! Plus, I would like to know from any Vera Bradley fans what else I should consider for expanding my Vera Bradley wardrobe or accessories in the future! !